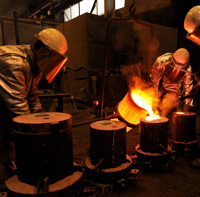 The Paccard Bell Foundry - Campanuna is a commercial subsidiary - is located at Sevrier - Lake Annecy - France. 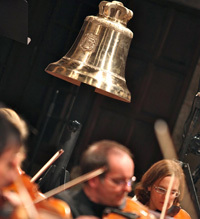 A replica (on a smaller scale) of the bell "The Savoy" was cast in 2010 in the gardens of the Palais du Luxembourg (Paris) and became one of the remaining witness of the 150th anniversary of the annexation of Savoy to France. 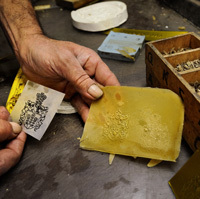 Paccard Foundry has cast over 120,000 bells ringing around the world and is always led by the same family, know-how handed down from generation to generation. (Photo of "Jeanne d'Arc" out of the Foundry). The Paccard Bell Foundry offers to everybody a range of bronze bells for individuals, schools, city halls, chapels, castles, boats .... and small bells table and cowbells. You can customize the bell, making the single object that can capture a happy occasion: birthdays, weddings, christenings, retirement, twinning of cities .... or simply beautify your property. On this page, we present the ranges of bells by function. For each range you will have sales prices (with VAT), which can vary according to declinations (size ..) or a customization.Take the time to simulate your purchase, see testimonies, the various advices, to assist you in your choice. Bronze Bells to place at the entrance of the house, the door or at the portal. 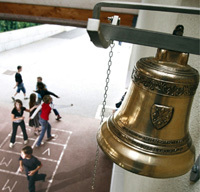 Bell swings on his mount, to install at the portal, in the school' s courtyard. Bell with fixed mounting which rings by hitting the bracket inside of the bell. You may want to make yourself the equipment of your bell. 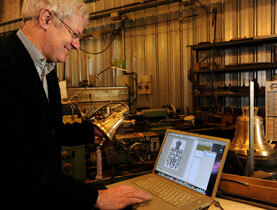 House or school bells - ship's bells - bells without mount.